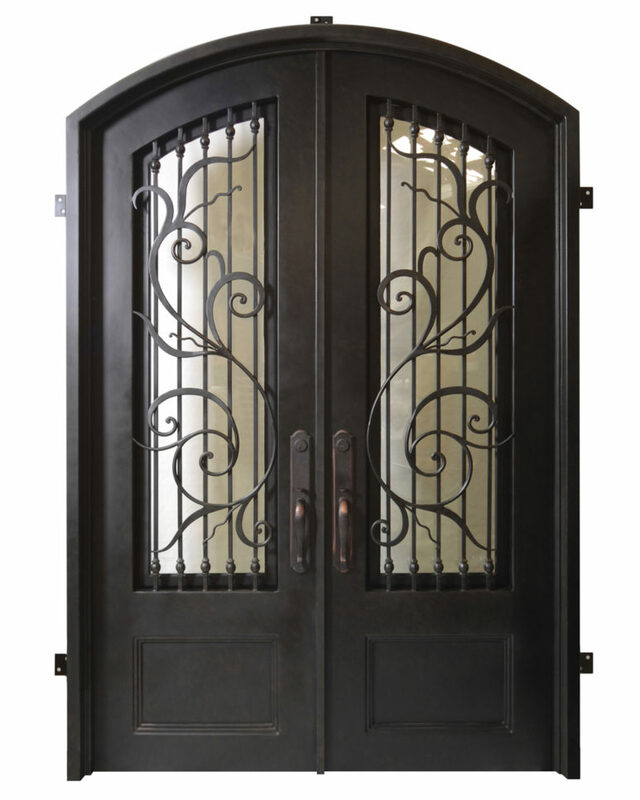 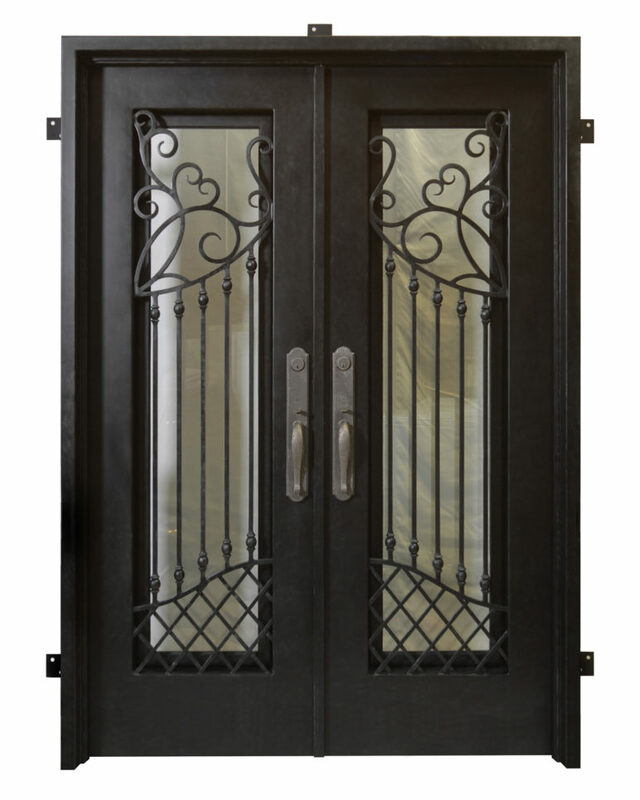 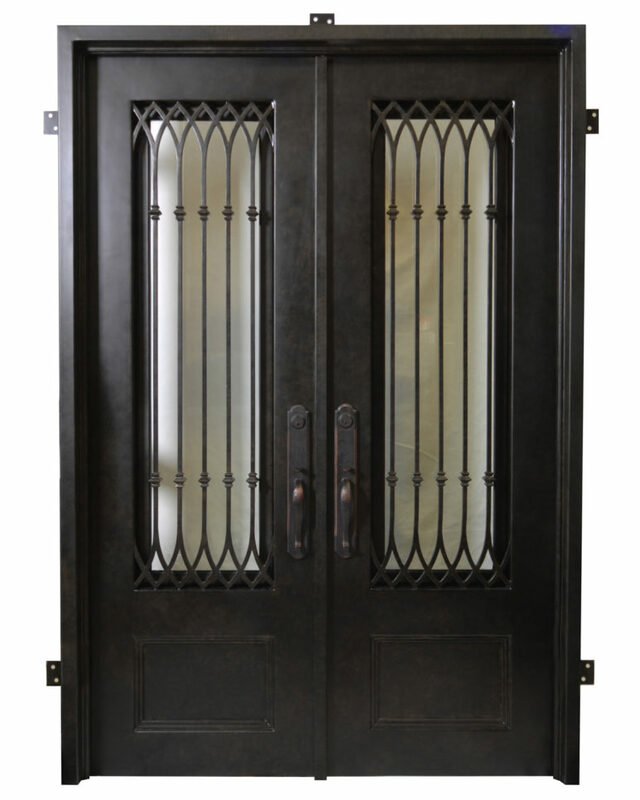 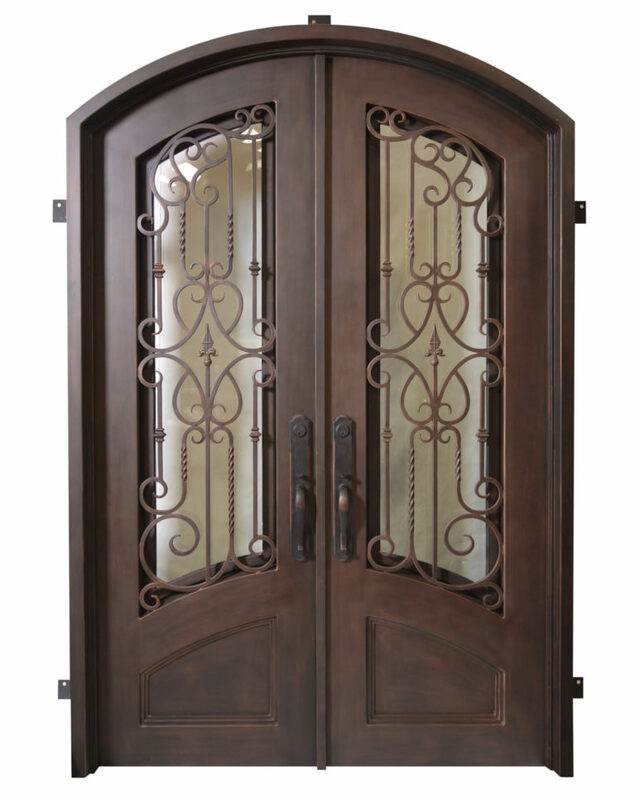 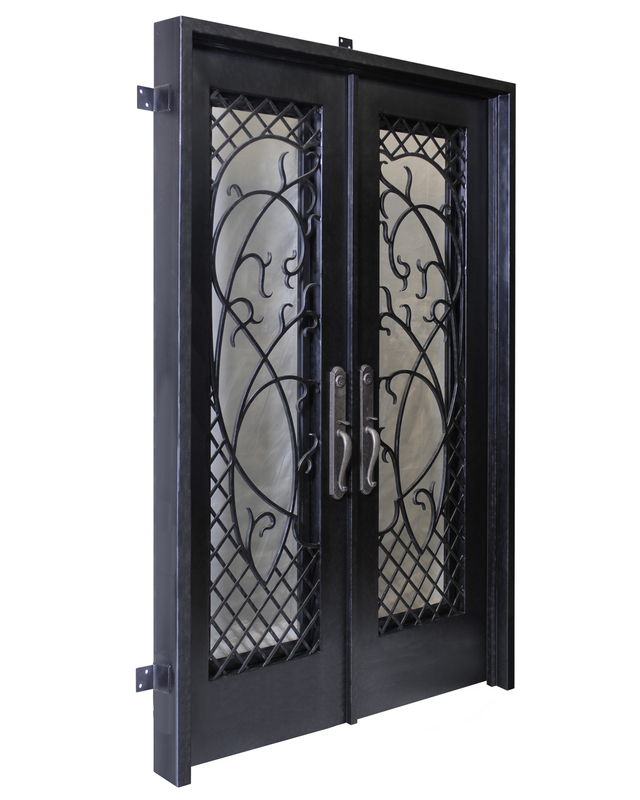 The Seville doors are, perhaps, our most contemporary looking set of handcrafted doors with interlacing steel fretwork and primitive scrollwork. 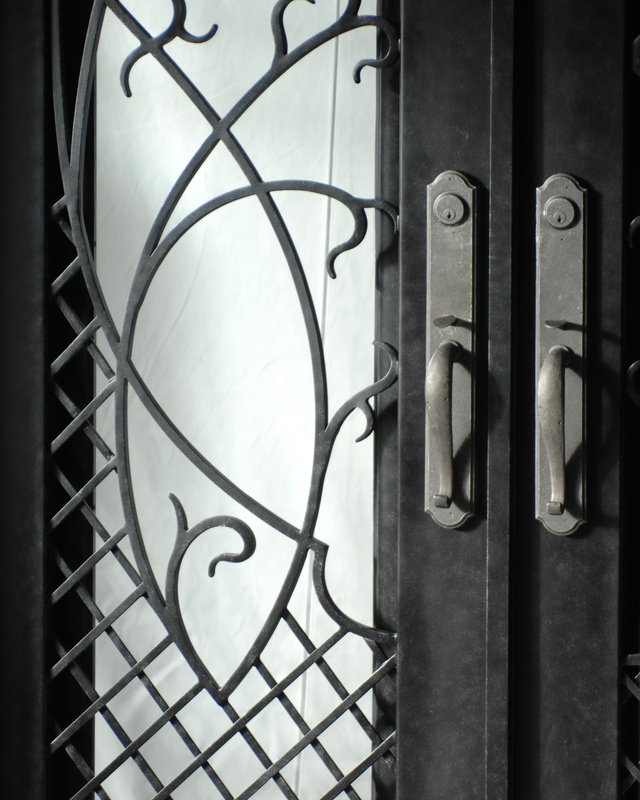 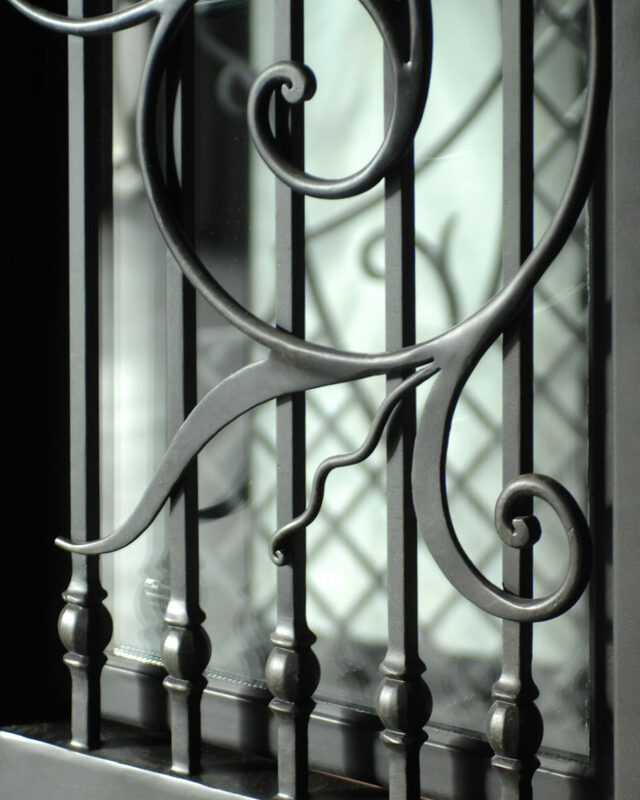 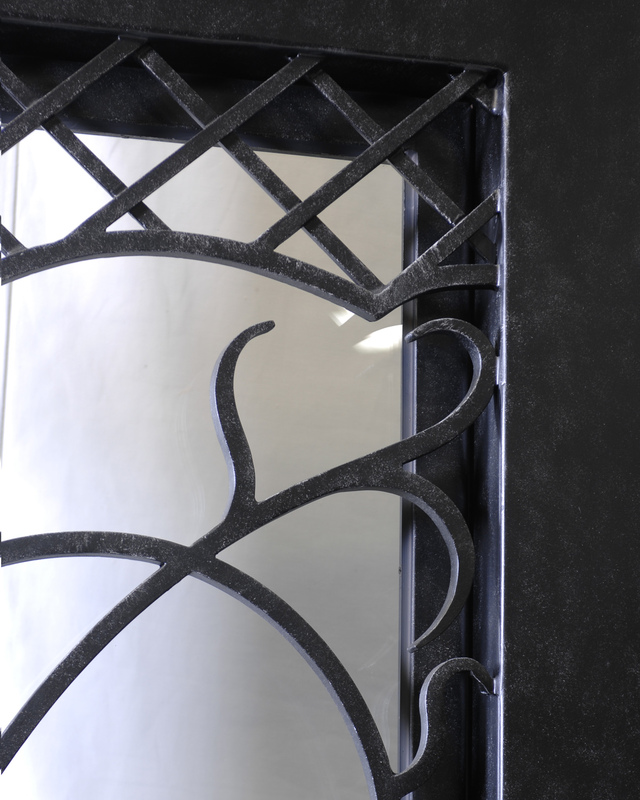 All our wrought iron doors are custom made to order and are available in any size, shape or design. 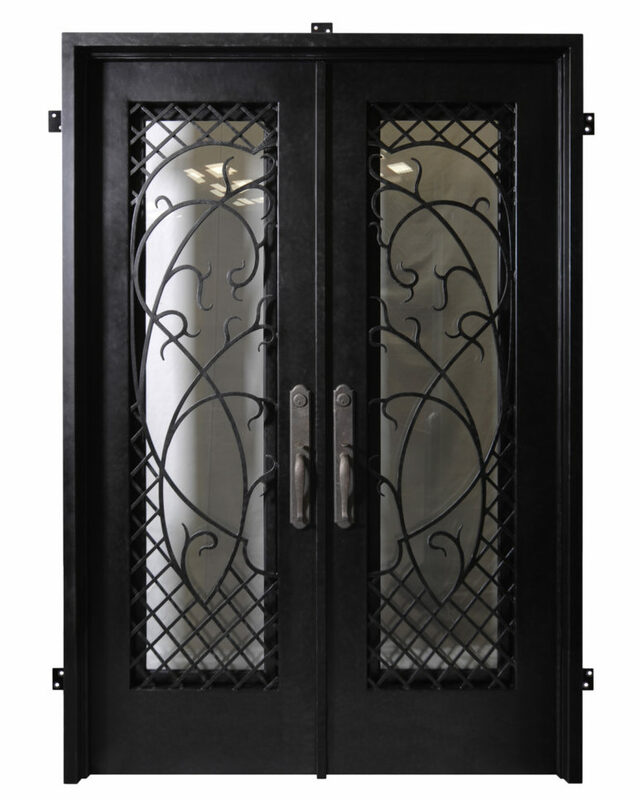 They come pre-hung in a steel frame with mounting brackets attached for ease of installation and are insulated with high quality foam that is pumped into both the frame and the doors.